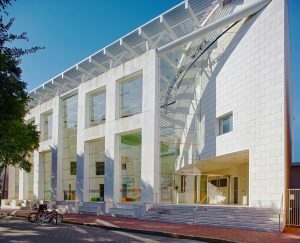 Telfair Museums in Savannah invites their youngest patrons to the Jepson Center for story time, a special tour & an art activity on the third Thursday morning of each month. Strollers, crying babies & older siblings are all welcome @ this monthly program. Start your day with art with our new and combined programs! Once a month, our youngest patrons are invited to the museum for story time, a special tour, and an art activity. Strollers, crying babies, toddlers, and older siblings are all welcome here. Come play and learn with us! This entry was posted on Tuesday, September 11th, 2018 at 12:13 pm	and is filed under Art/Culture/Entertainment, Classes/Programs, Mommy & Me, Museum Mommy & Me programs, Museums, Pre pre-schooler activities, Preparing for Preschool, Rainy day activities. You can follow any responses to this entry through the RSS 2.0 feed. Both comments and pings are currently closed.